In 1994, Dr. Arman Saparov immigrated to the United States and completed his Post-Doctoral training at the School of Medicine at the University of Alabama at Birmingham. In 1998, he was promoted to a permanent faculty position at the same institution. From 2001 to 2007, Dr. Saparov held various leadership positions at Xenogen Biosciences, located in greater Princeton area, New Jersey. During his employment at Xenogen, he led research projects in the areas of immunology, inflammation, cell technology and genetic engineering. The main purpose of his research was to determine the molecular mechanisms of disease pathogenesis and to define the effect of genes on the initiation and development of various diseases including cardiovascular diseases, lung inflammation, rheumatoid arthritis, diabetes, encephalitis and others. Dr. Saparov also managed research that tested new drugs for the treatment of the diseases mentioned above. In his projects, he collaborated with some of the largest pharmaceutical companies of the world, including Pfizer, Merck, Bristol-Myers Squibb and Schering Plough. In 2007, Dr. Saparov joined Partners HealthCare System, a not-for-profit integrated health system founded by Massachusetts General Hospital and Brigham and Women’s Hospital, teaching affiliates of Harvard Medical School and a global leader in quality patient care, medical education and biomedical research. Before joining Nazarbayev University in 2010, Dr. Saparov served as an Executive Director of the National Medical Holding (MNH), a joint-stock company that manages six state-of-the-art hospitals in Astana. He was a member of the Governing Board at NMH and Chairman of the Board of Directors at the Medical University of Astana. 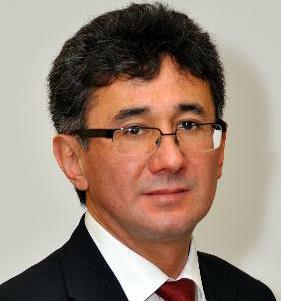 At Nazarbayev University, Dr. Saparov served as a Director of a newly created Directorate of the Integrated Academic Health System, an Acting Dean of NU Foundation, a Pre-Medicine Program Director, an Acting Chair of the Biology Department at the School of Science and Technology, and a Chief Executive Director at the School of Medicine. The pathological progression following myocardial infarction (MI) is very complex and involves a number of cell populations including cells localized within the heart, as well as cells recruited from circulation and other tissues that participate in inflammatory and reparative processes. These cells, with their secretory factors, have pleiotropic effects that depend on the stage of inflammation and regeneration. Excessive inflammation leads to enlargement of the infarction site, pathological remodeling and eventually, heart dysfunction. Stem cell therapy represents a unique and innovative approach to ameliorate oxidative stress and inflammation caused by ischemic heart disease. Consequently, it is crucial to understand the crosstalk between stem cells and other cells involved in post-MI cardiac tissue repair, especially immune cells, in order to harness the beneficial effects of the immune response following MI and further improve stem cell-mediated cardiac regeneration. mechanisms by which human PSC-derived factors mediate their effects and ameliorate inflammation following MI. 14. Saparov A, Elson CO, Devore-Carter D, Bucy RP, Weaver CT. Single-cell analyses of CD4+ T cells from alpha beta T cell receptor-transgenic mice: a distinct mucosal cytokine phenotype in the absence of transgene-specific antigen. European Journal of Immunology, 1997 Jul; 27(7): 1774-81.